July 9th in Wordpress Plugins by Wordpress Jedi . AntiVirus: protects your blog against exploits and spam injections. Covers WordPress backdoor attacks as well. It’s available in multiple languages. SecurePress Website Security Analyzer: an advanced security solution for WordPress that blocks attacks and alerts you when you are being attacked. It even gives you information about the attacker. This is a premium plugin. Ultimate Security Check: scans your blog for hundreds of known threats and lets you know what areas you need to work on. Great way to get started if you have never paid too much attention to your blog’s security. WordPress Firewall: an essential WordPress anti-hack plugin that can detect, intercept, and log suspicious-looking parameters. It covers your other plugins too. Can help you prevent SQL injection attacks. Maximum Security for WordPress: it scans your WordPress for potential security holes and helps you cover those. It keeps your files and directories safe from wandering eyes. WP Security Scan: another essential plugin that scans your website for security holes and suggests corrective actions (including but not limited to your password strength, database security, and file permissions). TAC – Theme Authenticity Checker: you do not want to install a theme that has malicious code or major security holes in it. This plugin can help you stay away from those problematic themes. Angsuman’s WordPress Guard Plugin: an anti-hack plugin that stops HTTP-based and brute force attacks. It can keep your website from being defaced by hackers. WP-Secure Remove WordPress Version: removes your WordPress version information. That does not necessarily protect your website against all attacks. But it does reduces the chances of your site being targeted with version-specific hack attacks. WP-MalWatch: it performs a security scan of your WordPress installation nightly and lets you know if it can sense any foul play (e.g. added hidden files, …). Stealth Login: a very useful plugin that creates custom URLs for logging in, logging out, administration and registering for your WordPress blog. It can significantly reduce the number of attacks against your blog. Login Lockdown: designed to lock out those who are trying brute force tactics to get into your blog. Secure WordPress: takes care of those small little details on your blog (e.g. hiding error messages, securing your plugin directory, hiding your version info). One Time Password: pretty self-explanatory. If you are opening up your blog in an unsafe environment, this plugin can help. You are allowed to use your passwords only once. Chap Secure Login: transmits your password encrypted, giving your website yet another layer of protection. Semisecure Login Reimagined: another powerful anti-hack plugin that uses a combination of public and secret-key encryption to encrypt passwords on the client-side. Limit Login Attempts: a no brainer. It limits the number of times people can enter wrong user-name/password combinations on your blog. Admin SSL: uses private or shared SSL to secure your login page, admin area, posts, pages. AskApache Password Protect: it stops automated attacks and newbies in their tracks. It can block spam too. Can protect your files, forbid proxies, and identify bad type of content. Admin Log: keeps track of admin pages accessed on your blog. Provides you with additional information such as user and time to help you pin-point your blog’s security break-downs. Content Security: helps WordPress admins thwart injection attacks. Lets you define what sites you trust when it comes to serving content on your website. Invisible Defender: adds two extra fields that protect your registration, login and comment forms. Keeps spam-bots at bay. NoSpamNX: another anti-spam plugin for your blog that adds hidden fields to your pages, giving bots rope to hang themselves. Akismet: needs no introduction. Every WordPress owner needs to have this plugin installed. 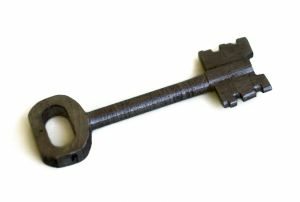 Don’t forget to pick up your key from WordPress.com. SI CAPTCHA for WordPress : another anti-spam plugin adds another layer of security to your blog by making your visitors type the code they see in an image to complete their action. AntispamBee for WordPress: catches spam comments on your blog. Does not add any code to your database and lets you block comments or ping-backs from specific countries. Comment Timeout: closes comments after a specific period of time defined by you. That will reduce the spam comments you may get on your older blog posts. HTTP Authentication: a pretty straight-forward plugin that adds authentication to your WordPress portal. External DB authentication: a more advanced plugin that lets you use an external database (MySQL, MSSQL, or PostgreSQL) to authenticate into WordPress (especially if you are storing passwords there). DBC Backup: an easy way to schedule daily database backups for your WordPress website. It’s pretty flexible too. BackUpWordPress: makes backup of your tables and files and lets you recover them quickly when facing a disaster. Online Backup for WordPress: lets you backup your data online. You can purchase more storage if you are over the limit. WordPress EZ Backup Plugin: has a ton of features and enables you to make a backup of every aspect of your website. WP-DBManager: if you want to make changes to your database from your website’s back-end, this plugin can be helpful. Sentry: lets you add content to your website without it being seen by Google or the world. Secure Files: you can use it to restrict file access only to those who have logged on to your website. Social Privacy: another handy plugin for those of you who plan to post private information to your website. Restrict access to users that you approve. WP-Ban: if you are having issues with a visitor or just want to ban an IP, this plugin has you covered. User Locker: locks the accounts of users who fail to enter the right credentials more than a specific number of times. Role Scoper: designed for those who are using WordPress to manage a content portal. Lets you modify user permissions and define roles for your members. At the end of the day, you do not want to take any chances with your WordPress website. While it’s impossible to stop all hack attacks, the above plugins do make life much more difficult for spammers, hackers, and content thieves. What security WordPress plugins are you using to protect your website?